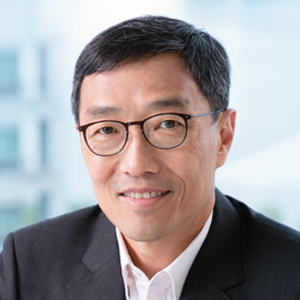 Mr. Albert Wong was appointed CEO of the Hong Kong Science and Technology Parks in August 2016, with the mission to develop and lead the Ecosystem for Technology, Innovation and Entrepreneurship in Hong Kong. Being the biggest concentration of R&D workers and as the largest start-up Incubator of Hong Kong, the Science Park is at the forefront of re-industrialisation for Hong Kong. Mr. Wong was a graduate of HKU Engineering and CUHK MBA. He spent most of his career working for multi-nationals in the technology area, including Schlumberger, Caterpillar, Emerson Electric and General Electric. With fifteen years in GE, Albert had a number of years working in the US headquarter, and in China. He started as M&A manager in the US, and later became business executive. Mr. Wong was GE Industrial Solutions Asia CEO, and GE Oil & Gas China CEO prior to leaving the company. He was a regular trainer and teacher at the GE Learning Centre in Shanghai and in Crotonville. Before joining the Science Park, Mr. Wong was CEO of ATAL Engineering Group, a local major Electrical & Mechanical Engineering Company in Hong Kong. Mr. Wong also serves as a Director on the Board of Hong Kong Sports Institute.